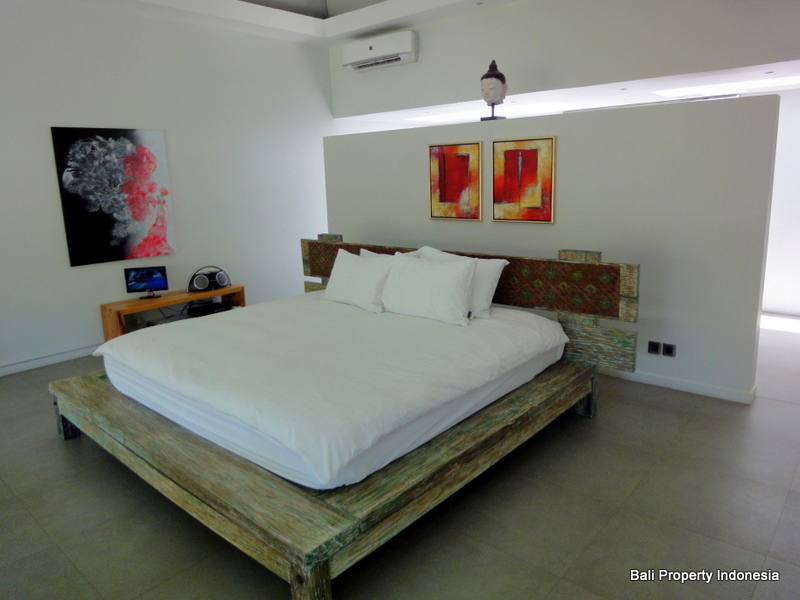 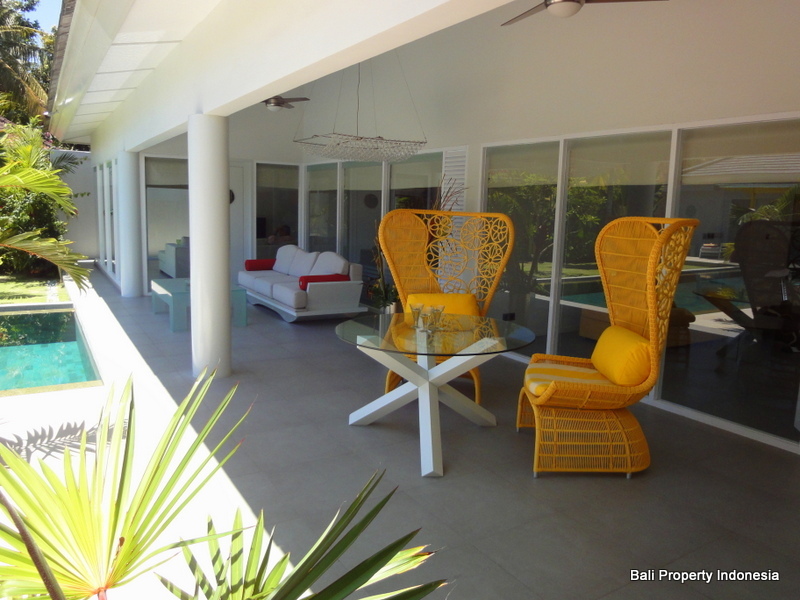 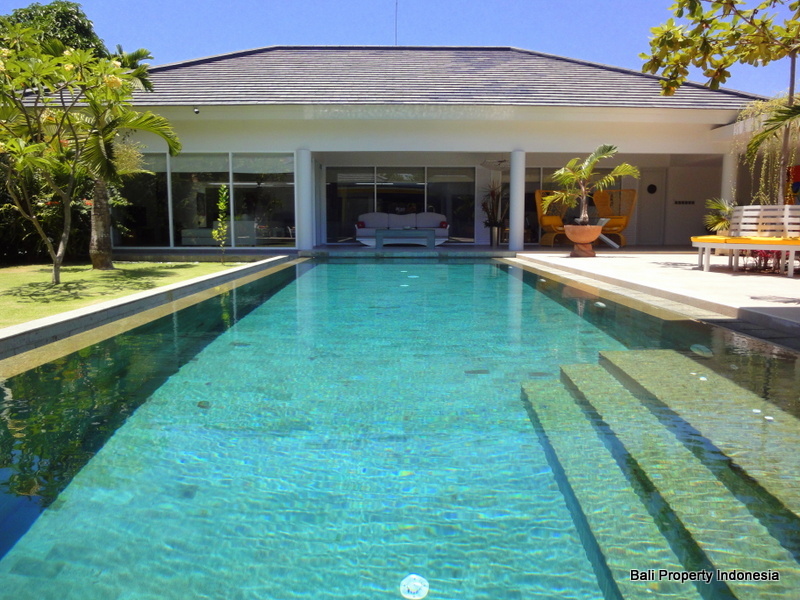 Close to the center of Sanur at the beach side, a modern 4 bedroom villa with a long leasehold period. 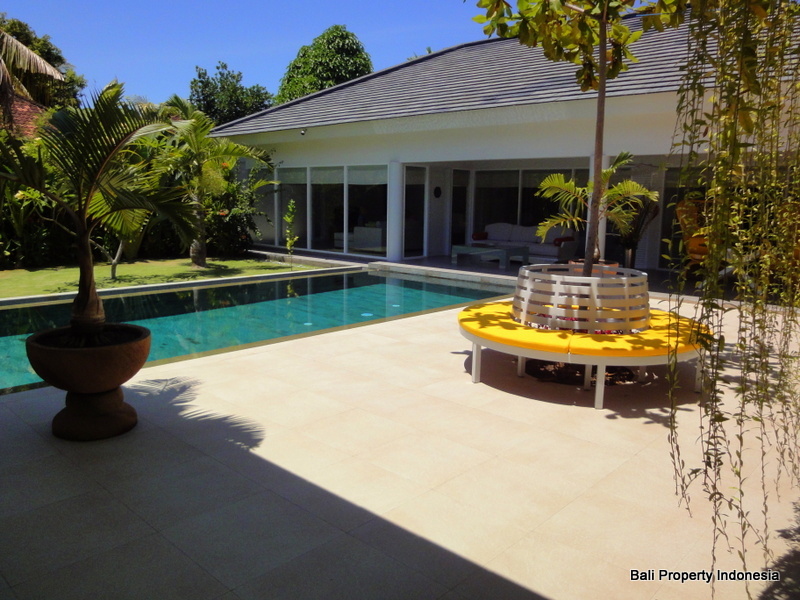 On offer for sale, close to the center of Sanur, a newly build very spacious four bedroom villa with an exceptional long leasehold period. 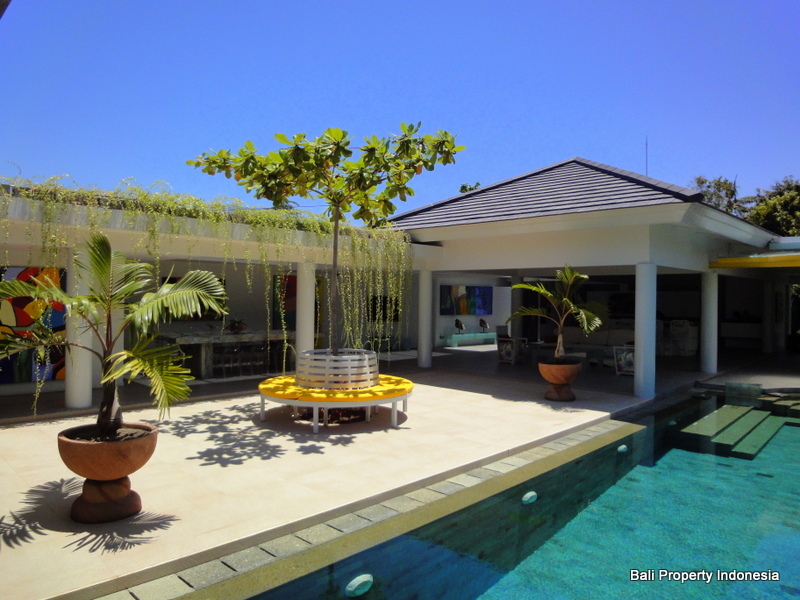 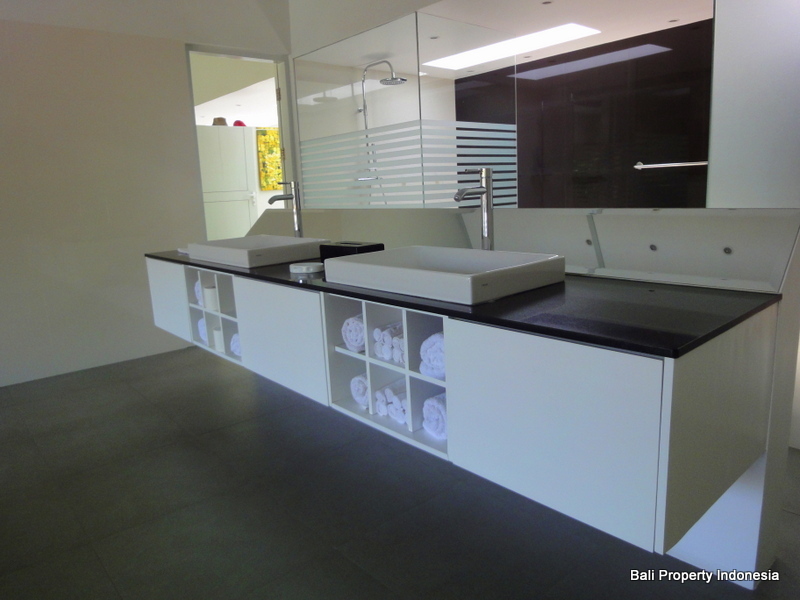 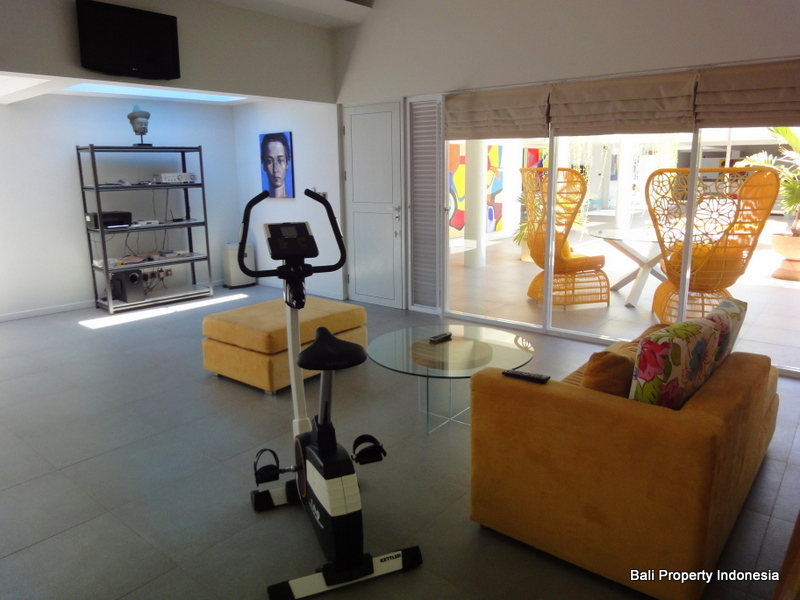 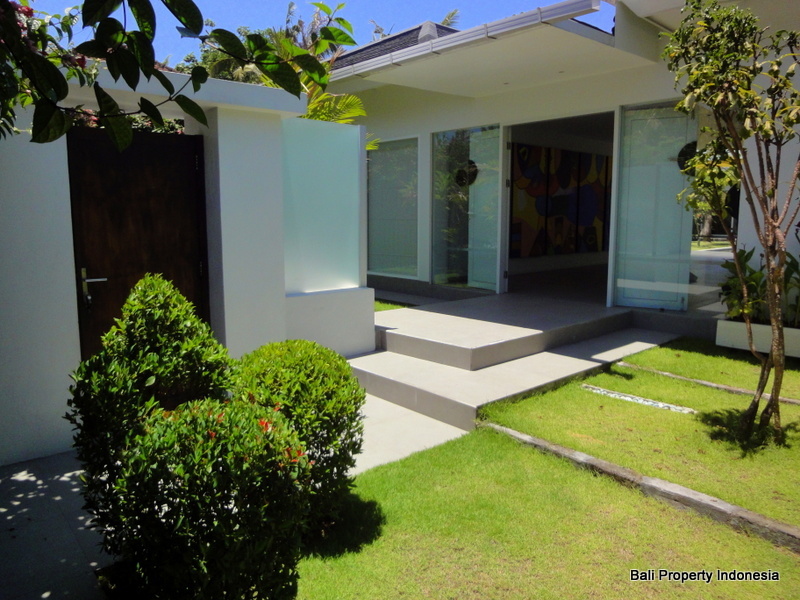 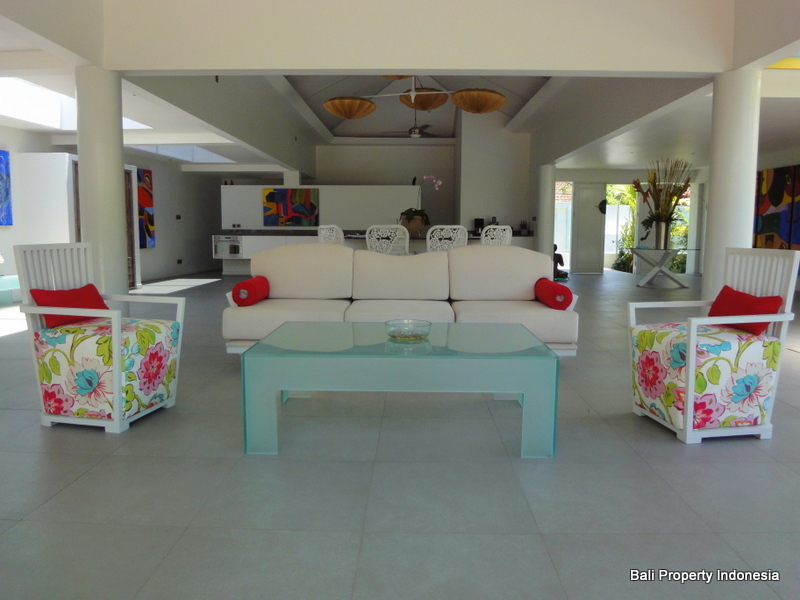 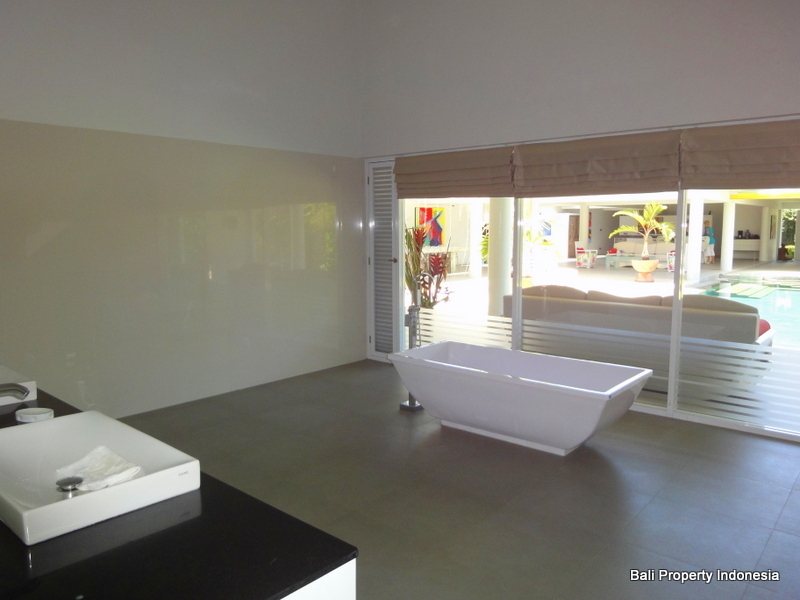 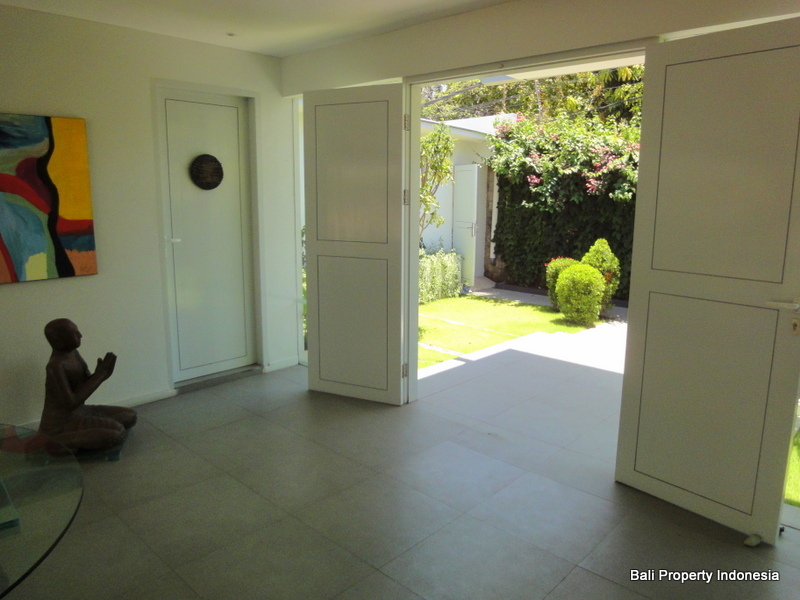 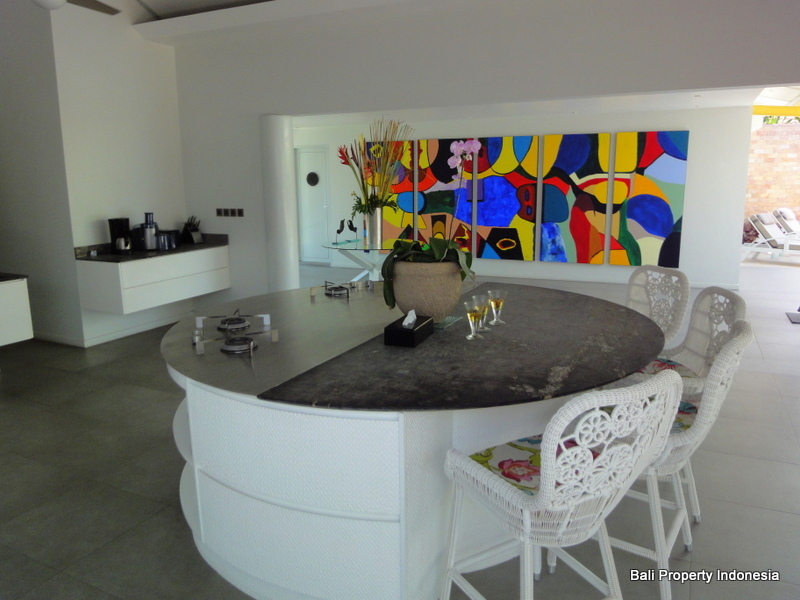 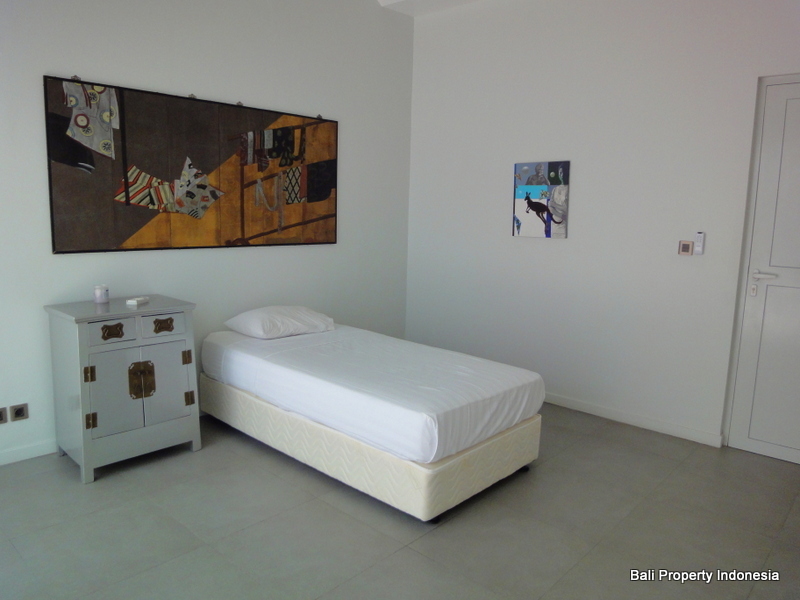 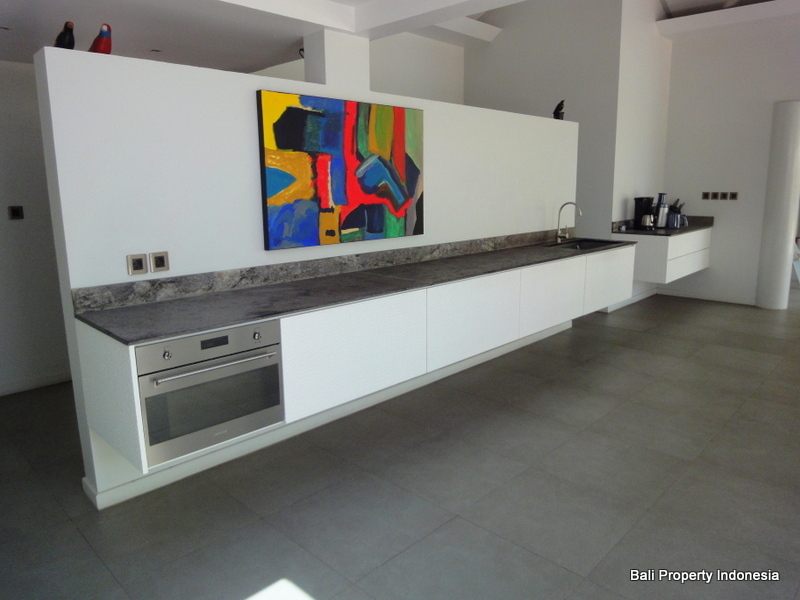 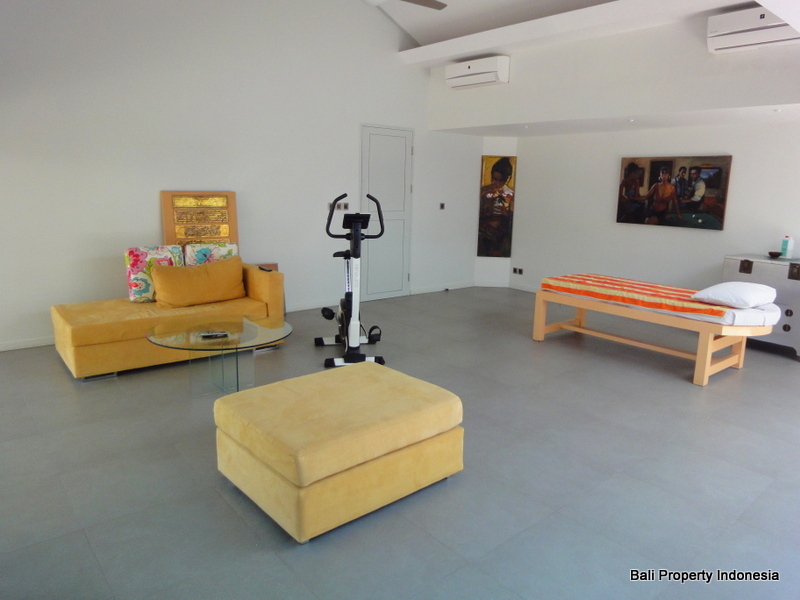 This modern style four bedroom villa has recently been finished and is located almost in the center of Sanur. 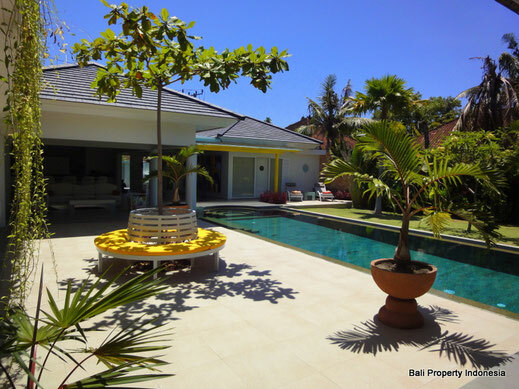 Sanur is a favorite place to live for many expats; everything is nearby, the beach, a variety of restaurants and cafes, shops and international schools. 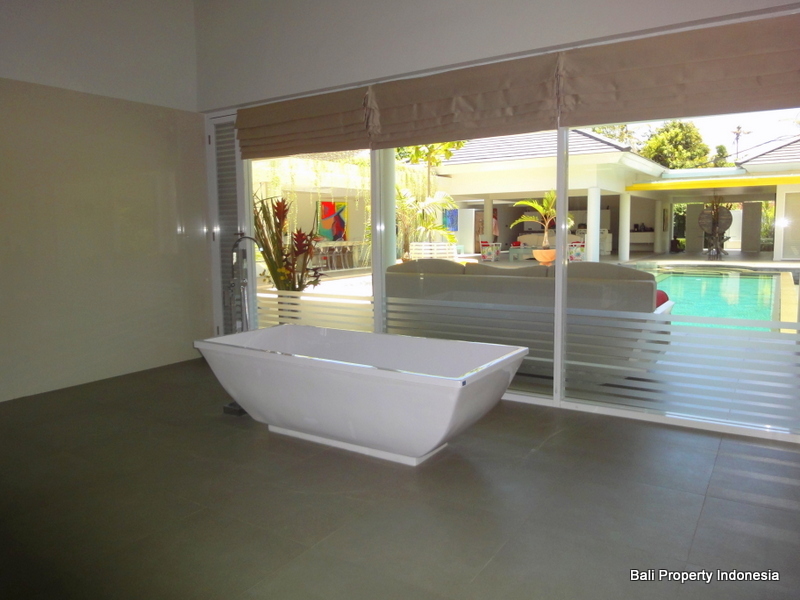 This villa has been built with a great feeling for style, and the materials used are of a high standard. 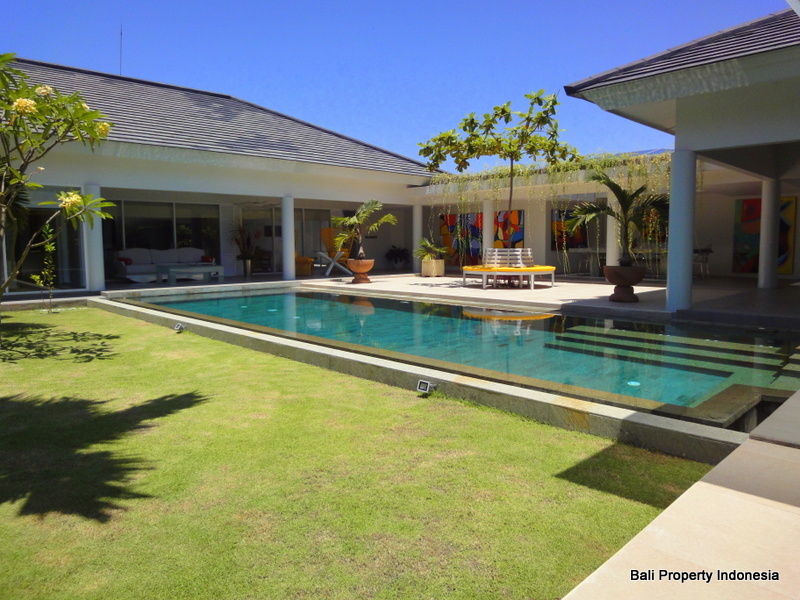 The villa owner is an expat who lives in Bali for quite some years now, so when he had the villa build, with his experience, he knows what is practical as well as comfortable to put in a house. 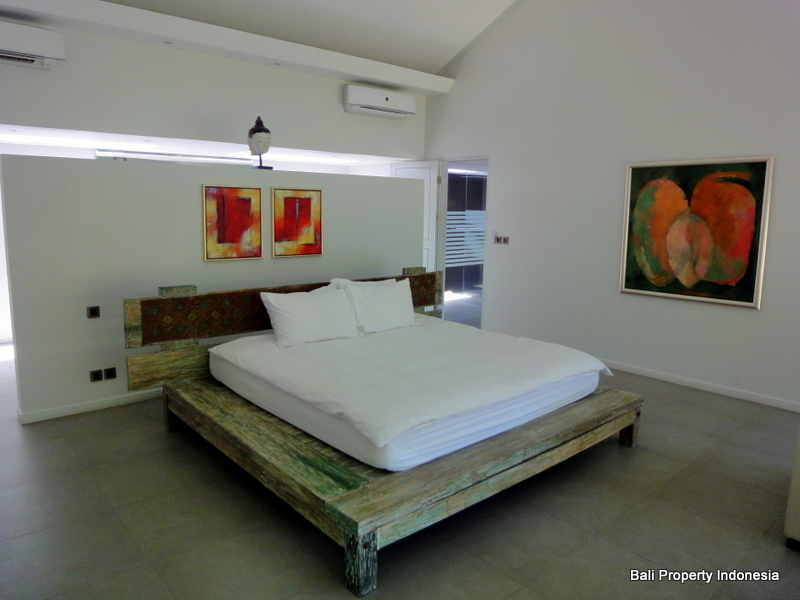 The master bedroom is very spacious and is a combination of a bedroom and living, a spacious walk in dressing behind the room is provided. 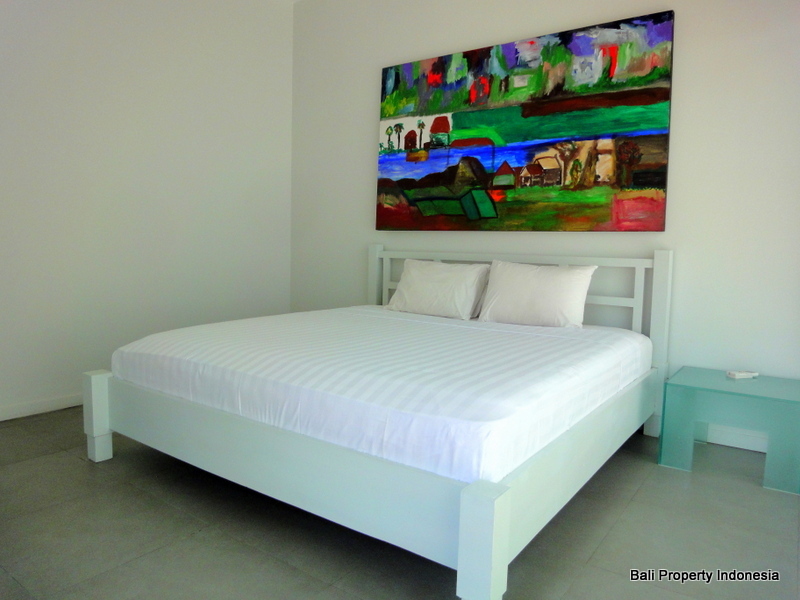 The master bedroom shares a large bathroom with another bedroom, at the moment in use as a fitness and massage room. 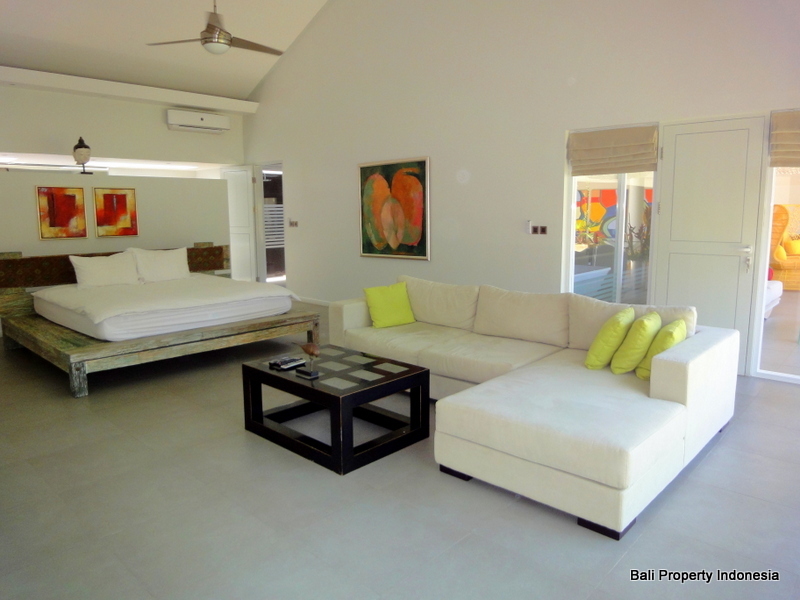 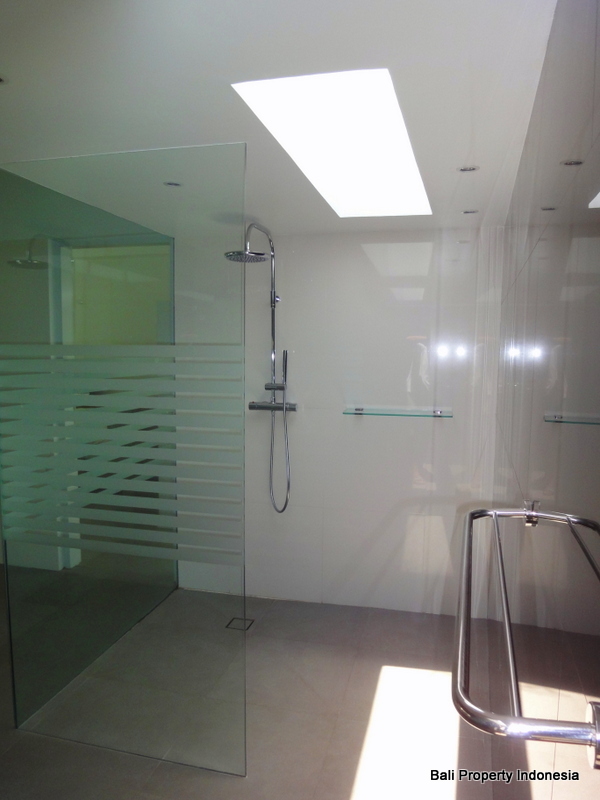 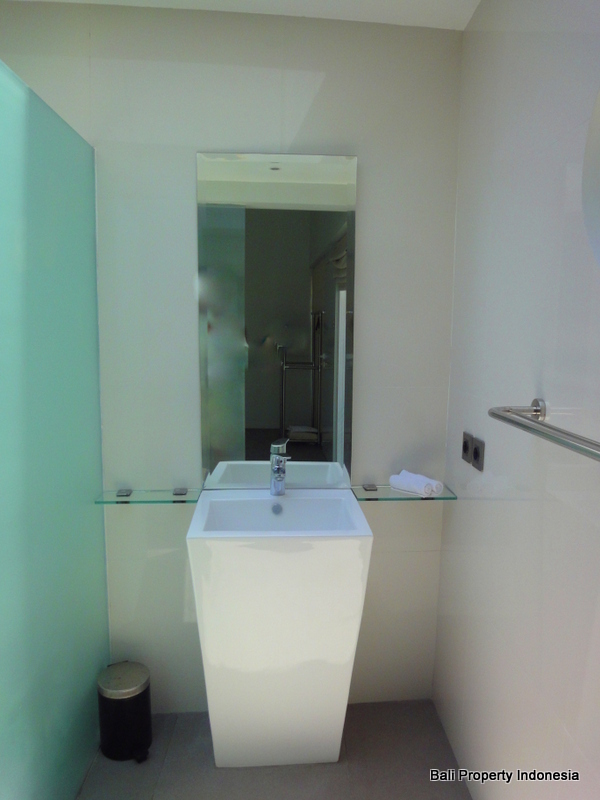 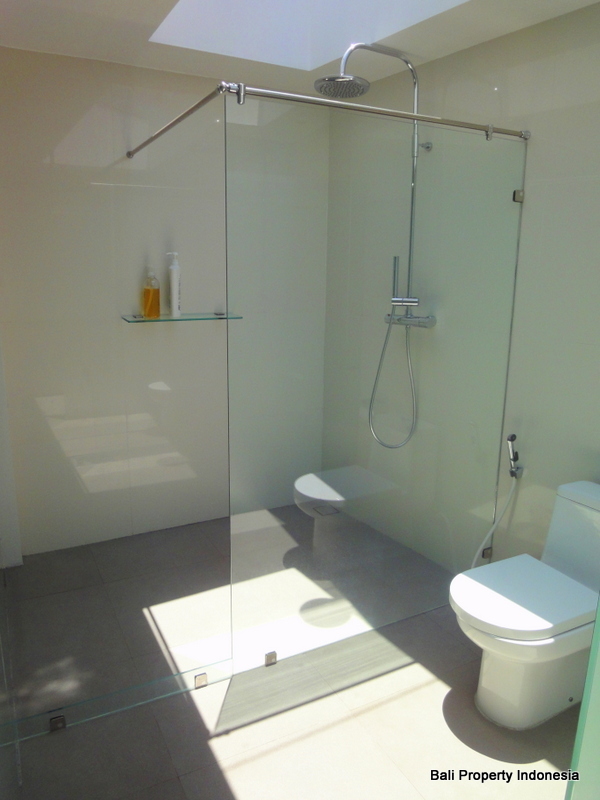 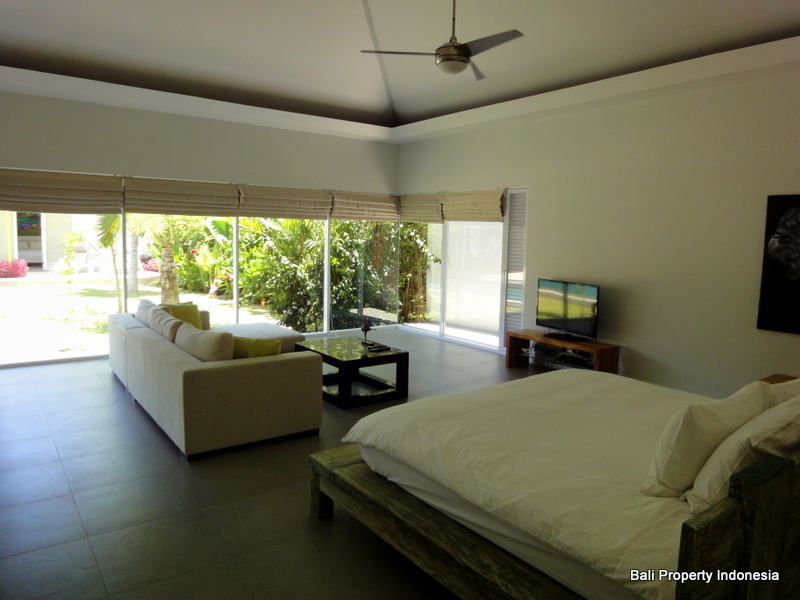 Two other bedrooms, each with their own bathroom en suite, are to be found in another section of the villa. 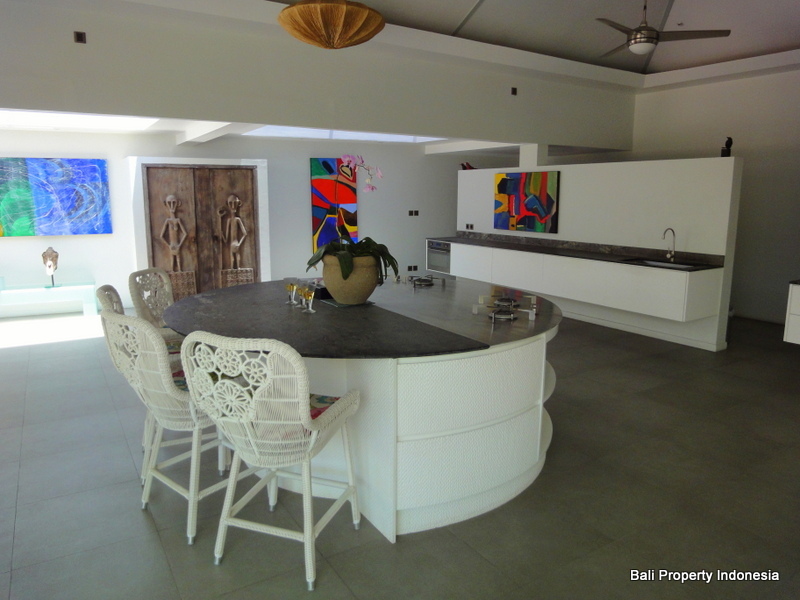 As you can see on the pictures the whole floor plan is kept open and spacious, the kitchen runs smoothly over in the dining area. 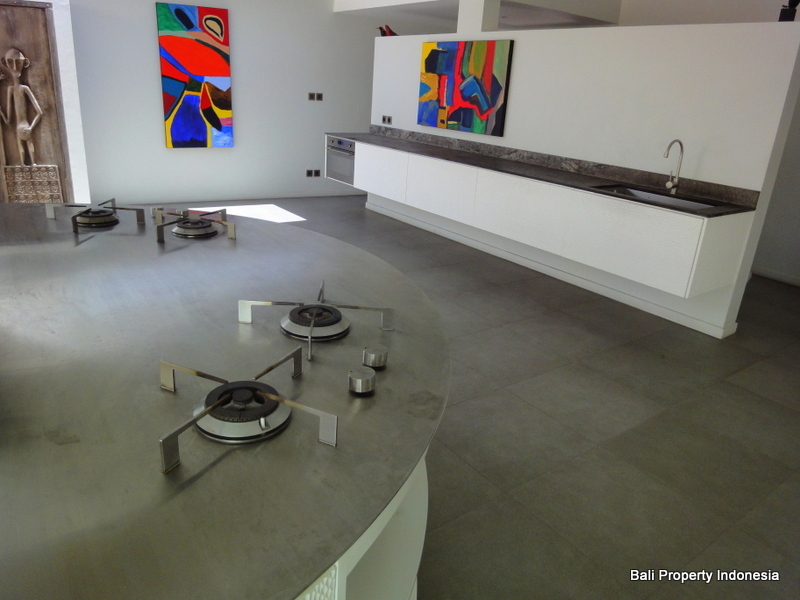 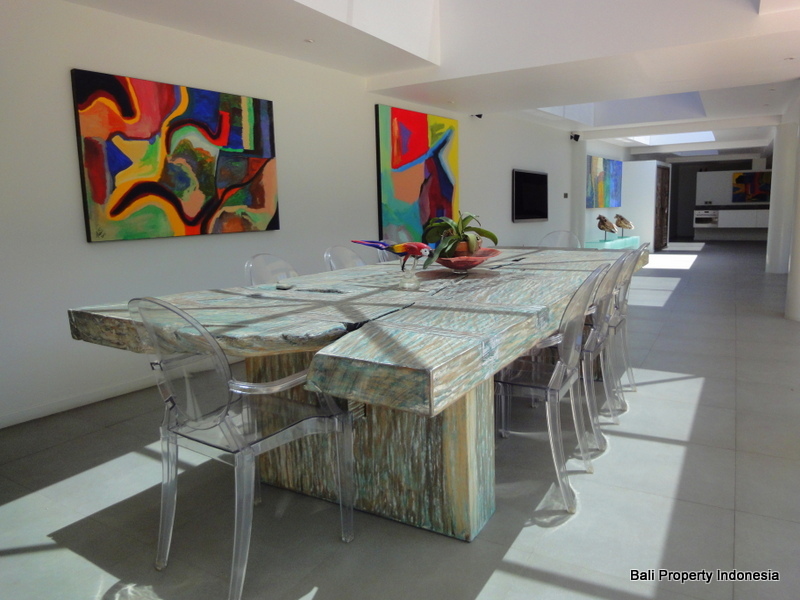 You will notice a unique bar/table with a build in cooker, truly a master piece of design. 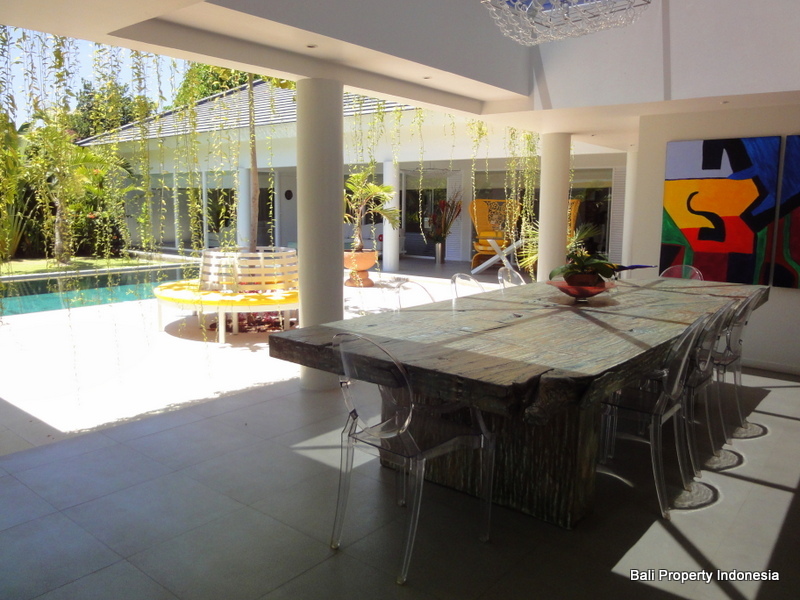 The dining area runs again smoothly over in the open living with a sitting area and in case of many guest for dinner a huge natural wooden table in the corner. 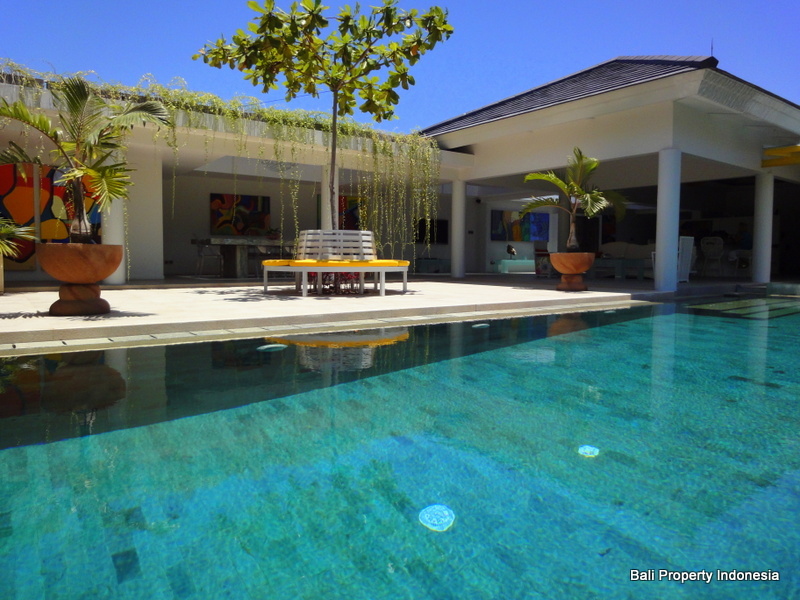 The swimming pool is the eye catcher wherever you are in this villa. 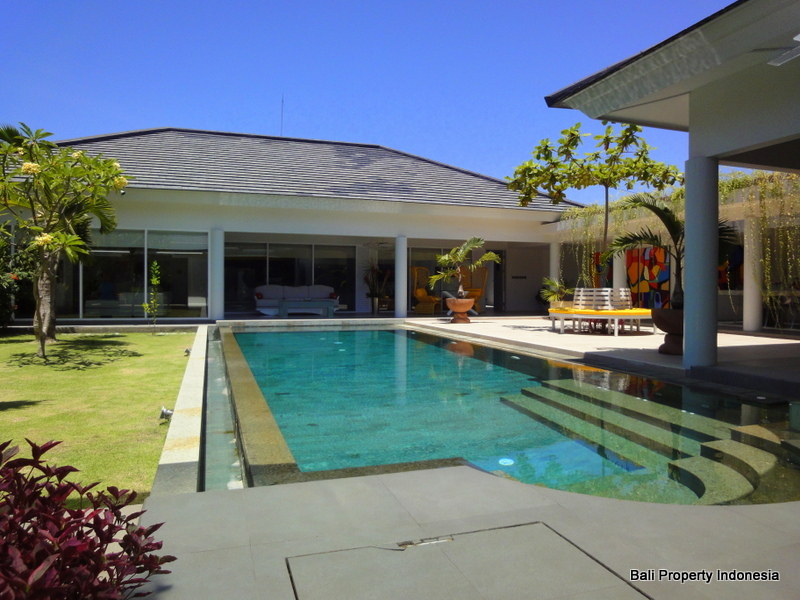 The large swimming pool is equipped with a salt water purification system. 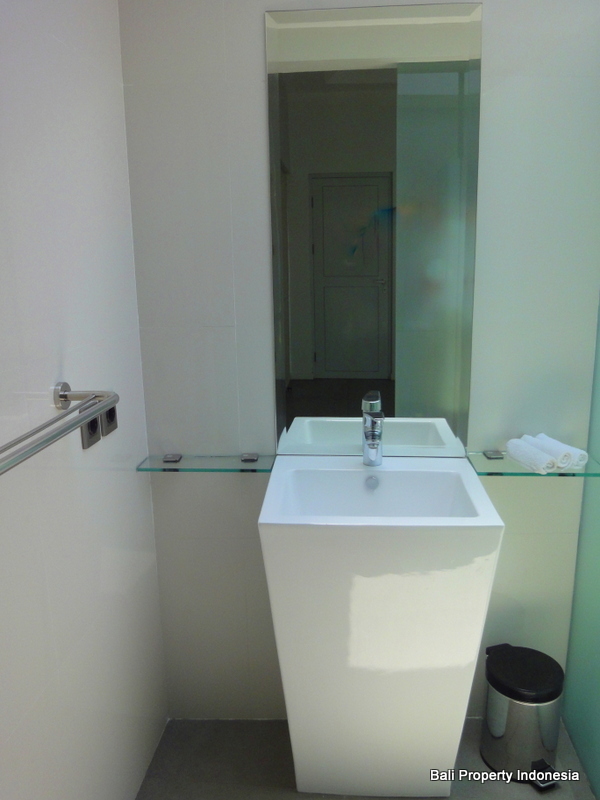 This has several advantages; it is soft for the skin and eyes and saves money, which you otherwise have to spend on chemicals! 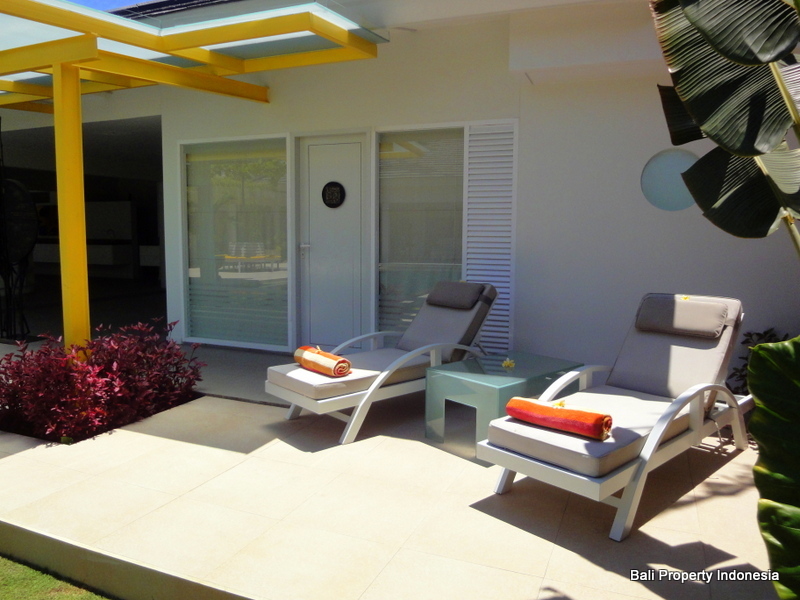 Of course there is a sundeck with sunbeds in a corner of the garden. 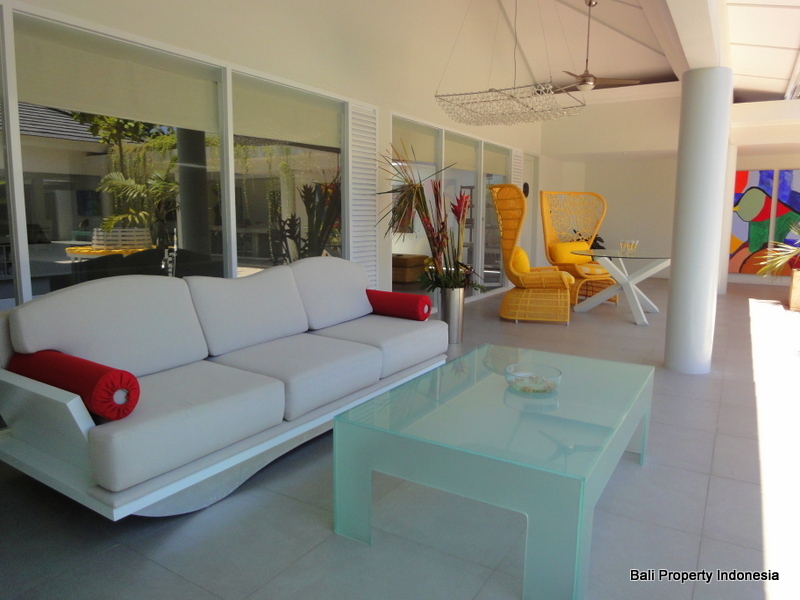 This villa is truly an example of a mixture of modern style with high standard quality materials and build by an experienced builder. 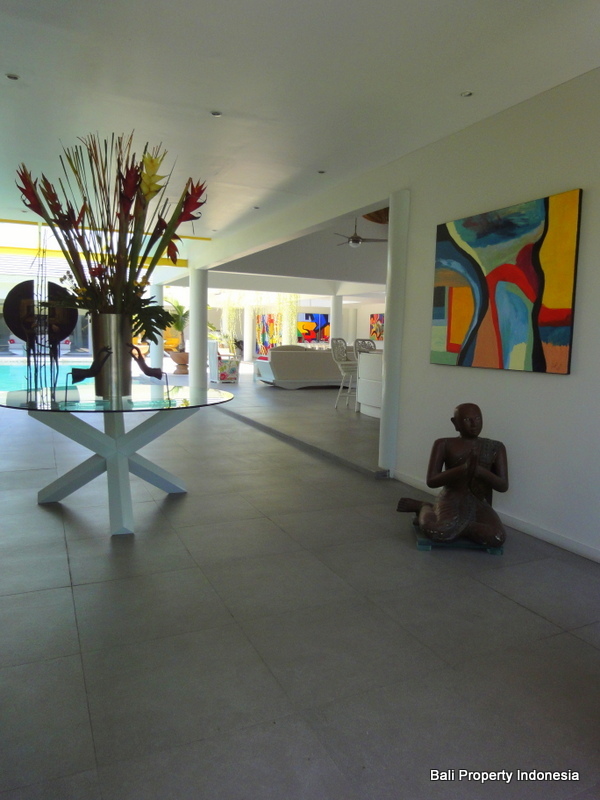 The decoration and interior of the villa is kept in bright colors. 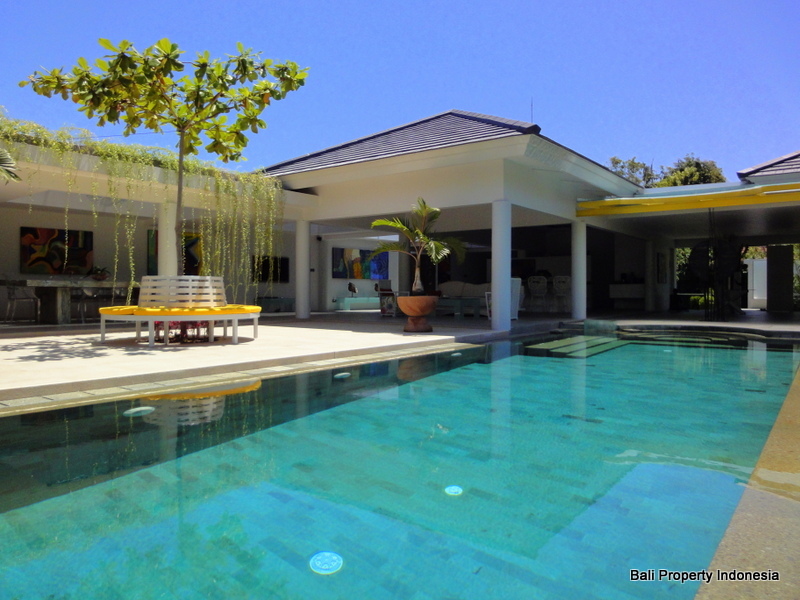 But one of the most important reasons why this villa is unique in Sanur is because of the very long leasehold period until 09-03-2056. 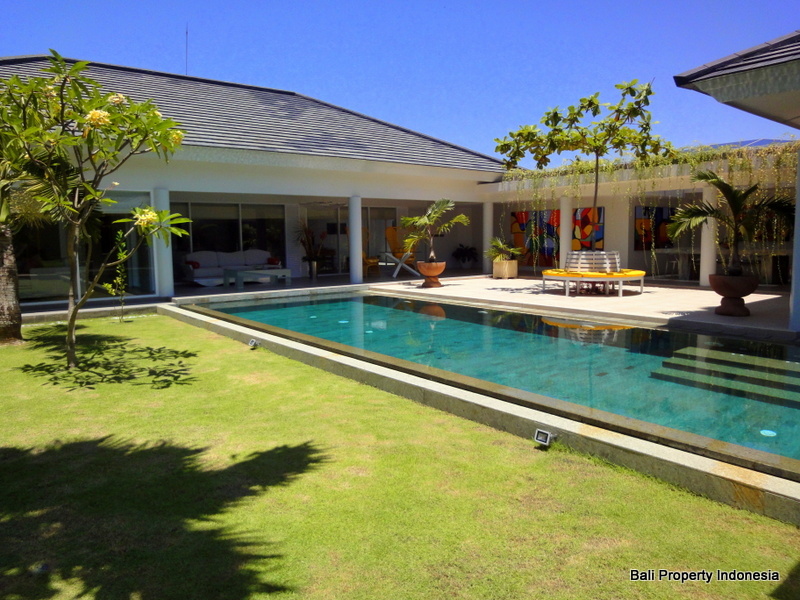 Freehold is an exception in Sanur and very rare. 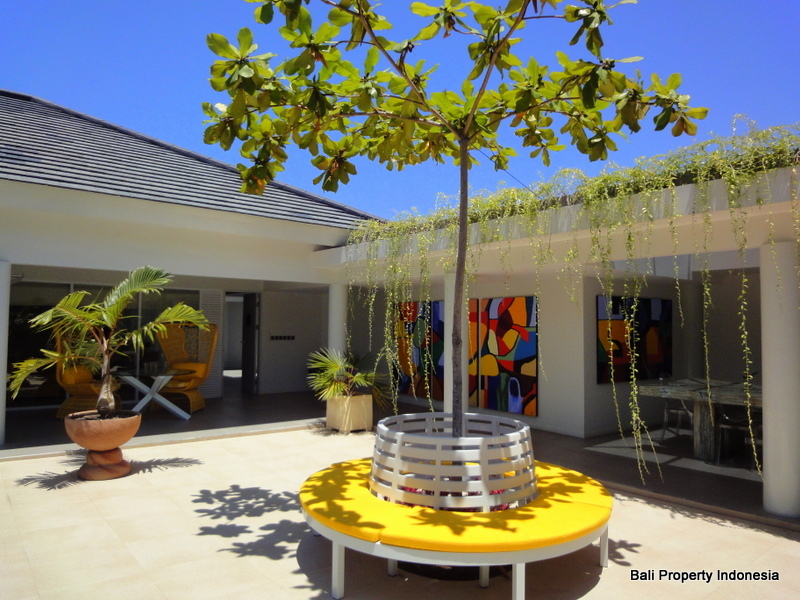 Most leasehold properties come with a leasehold period of 25 years or less. 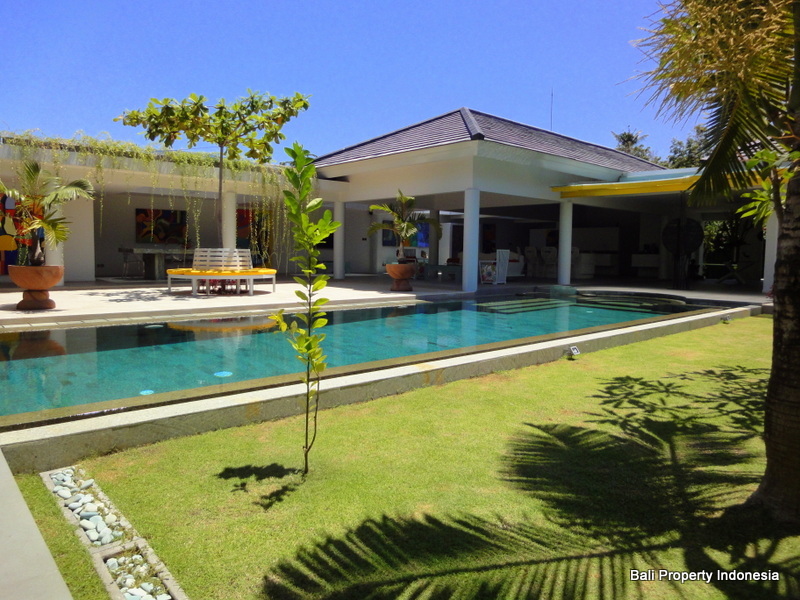 This villa comes with a 37 years lease counting from March 2019.